TANAKA draws on its extensive experience to provide a broad range of precious metals products and technologies. Precious metals are a precious resource, both expensive and rare. 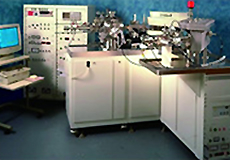 Prior to product delivery to customers and in a range of different settings, they are analyzed and subjected to stringent purity and weight checks. -->With an accurate evaluation of the expensive precious metals in products, companies are able to confidently trade with customers. 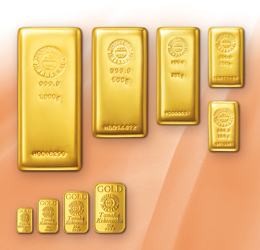 -->The TANAKA brand stands for globally trusted precious metal bullion that complies with the standards of the LBMA and LPPM, enabling people to trade the products with confidence. Analysis is essential to uphold these standards. -->Upholding standards of composition and impurities is important for bringing out the superior characteristics of each product, and analysis is necessary for this evaluation. -->Precious metals are used in many different industrial products so recyclables are many and varied. For this reason, different analytical methods are used depending on the product to be recycled, which requires further study of technologies. 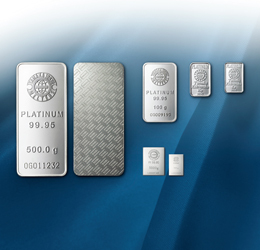 TANAKA has been accredited as a Good Delivery Referee for precious metals by two authorities, the London Bullion Market Association (LBMA) which is the most prestigious registration and accreditation trade organization of the global gold and silver market, and the London Platinum & Palladium Market (LPPM) which is an equally prestigious organization for platinum and palladium. This accreditation is proof of the global recognition of TANAKA’s melting technologies and analytical skills. To assure purity, the high accuracy fire assay and instrumental analysis methods are used to determine purity and concentrations of impurities. To assure quality, chemical weight analysis and instrumental analysis methods are used to accurately analyze such things as the type and composition proportions of precious metal alloys, precious metal content and impurities. To protect the environment, the instrumental analysis method is used to analyze wastewater and other industrial waste for the presence of pollutants. As the first to be accredited in Japan, TANAKA Kikinzoku Kogyo’s Laboratory Center acquired the ISO/IEC17025 International Standard accreditation for platinum, gold, silver and palladium metals analysis technology. Proficiency is necessary to use these methods, and this accreditation is proof of that proficiency at TANAKA. In recent years, many companies have been selling precision light-emitting devices for direct analysis of solid-state metal elements, but with our accredited reference materials, TANAKA is able to achieve accurate analytical values in a short amount of time. Standard precious metal test samples are recently being widely used as engineering materials, so people are actively recycling. For this reason, it is possible that elements not previously present could be unintentionally included in precious metal products. Products using precious metals refined by other companies sometimes include unexpected impurities, which reduce product quality and make them non-standard. With this accreditation, TANAKA is continuing to contribute towards international standards for analytical technologies and purity assurance throughout the entire precious metals industry. Contact TANAKA for more information on products and case studies. Online enquiries 24 hours a day! Maximize the advantages of the limited assets "Urban Mines"
Copyright © TANAKA HOLDINGS Co., Ltd. , All Rights Reserved.